This will go down as one of the most memorable celebrations in Boston sports history as the Red Sox and Patriots championships were both celebrated on the field today. 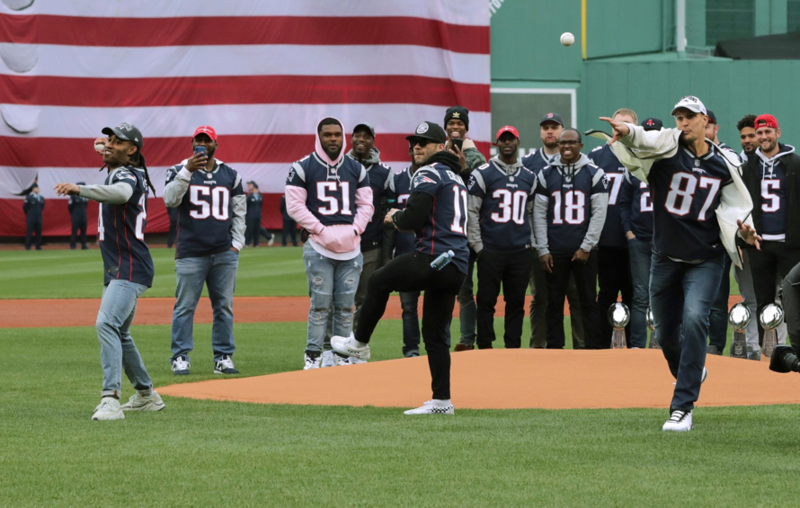 Three members of the Patriots threw out the first pitch, Super Bowl MVP Julian Edelman, Star cornerback Stephon Gilmore and beloved and future Hall Of Fame tight end Rob Gronkowski. In particular it was a touching moment because barring a surprise coming out of retirement party, we won’t see Gronk around as often. Of course his number will be retired at some point by the Patriots but it is still sad to see such an entertaining figure walk away from the game. Because there are never enough trophies! Perhaps nobody had more fun today than Deatrich Wise who really seemed to be taking it all in.